The European Union commits funds to the FIBRO-TARGETS (Targeting cardiac fibrosis for heart failure treatment) research consortium, to be coordinated by Inserm over a four-year period. The objective of the project is to determine the underliying mechanisms in myocardial interstitial fibrosis contributing to the development of heart failure. Unravelling the mechanisms of cardiac fibrosis will lead to the discovery of therapeutic target candidates for various cardiac diseases. FIBRO-TARGETS brings together eleven European expert teams from six different countries both from public research institutes and European biotechs. This is the second EU funding in heart failure for Inserm; the first one was launched last February: HOMAGE (for Heart OMics in AGEing – which aims to validate specific biomarkers of heart failure). All 11 partners convened in Amsterdam on September 3rd, for the kickoff of the FIBRO-TARGETS project. Beyond and in addition to a diseased heart muscle, myocardial interstitial fibrosis (MIF) is one of the key mechanisms of cardiac remodelling. 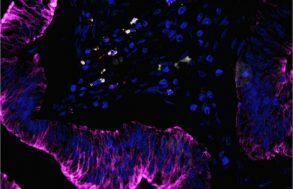 Cardiac fibrosis contributes to cardiac tissue stiffness. It results from the excessive accumulation of proteins that make up the extracellular matrix. 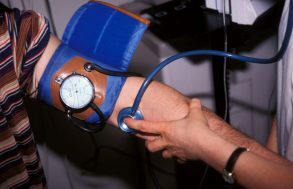 As a consequence, diastolic and systolic cardiac functions are altered which, over time, results in symptomatic heart failure (HF), with breathlessness, fluid congestion, oedema and fatigue. Heart failure is a serious disease since it is often irreversible. It is estimated that more than 6.5 million people suffer from heart failure in Europe. It is the leading cause of hospitalization for patients over the age of 65. The incidence is increasing at an alarming rate because of an aging population and the burden of cardiovascular risk factors (diabetes, obesity and high blood pressure). Early interventions targeting key mechanisms, including myocardial interstitial fibrosis, could slow down progression to heart failure. Using the large amount of data amassed by the FIBRO-TARGETS consortium, myocardial interstitial fibrosis was identified as a major therapeutic target for the prevention and treatment of heart failure. The FIBRO-TARGETS project therefore aims to accurately identify the main mechanisms involved in MIF and to define therapeutic approaches that target these mechanisms. Cardiac fibroblasts (specific cells in cardiac muscle) make up between 60 – 70 % of all cardiac cells and are the main source of the extracellular matrix proteins responsible for fibrosis. Since these mechanisms have been identified, direct intervention can be performed on fibroblast proliferation and on the composition of extracellular matrix using molecules with potential therapeutic benefits: preventing, repairing or slowing down cardiac remodelling. “In addition, until now, the only means of quantifying fibrosis was a biopsy, an invasive and inaccurate method used to estimate the total degree of cardiac fibrosis. 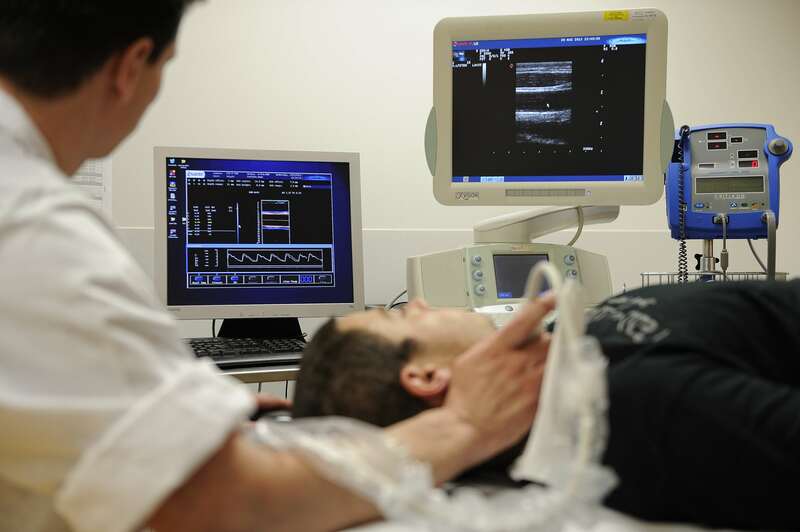 Over the last ten years, cardiac imaging has allowed to perform accurate anatomic and functional assessments of the myocardium (the muscular tissue of the heart). explains Professor Faiez Zannad, researcher at Inserm unit U1116, Centre d’Investigation Clinique P. Drouin Inserm 9501 in Nancy, and coordinator of the FIBRO-TARGETS and HOMAGE projects. The FIBRO-TARGETS project results will help resolve one of the 21st century’s major health problems that affects elderly people in particular.